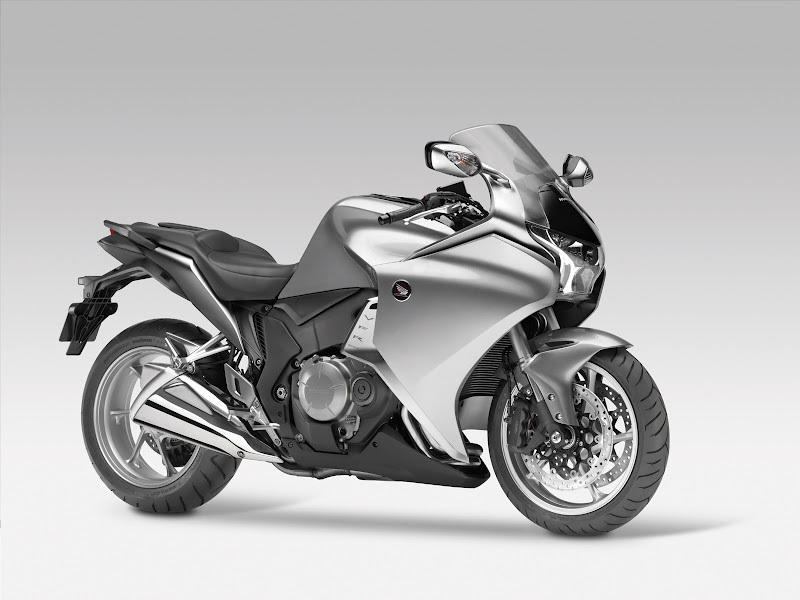 Honda VFR 1200F is a powerful bike designed with trendy looks and new technology. Explore the review to check the features, technical specifications & price in India. 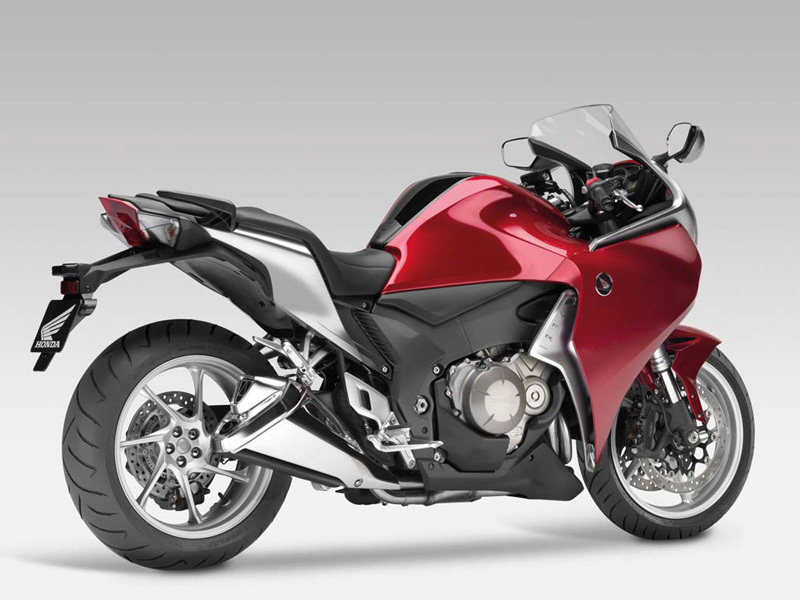 Designed with trendy looks and new technology, Honda VFR 1200F is a powerful bike which can appeal any rider. This super bike is slowly but steadily gathering its appreciation because of its challenging performance, comfort and stunning design. It's adopted racing technology as well as it's tuned body for the Indian roads has the power to meet the requirements of wide audience. When it comes to the quality of the materials used it is simply impeccable and can never be compared with any other simple bikes. In Whole Honda VFR 1200F is a good luxury and comfortable vehicle. The Honda VFR1200F's new liquid cooled, 4 stroke, 1237 cc engine is immensely smooth and flexible. It is the first throttle-by-wire engine from Honda which follows the Unicam valvetrain design. The dual clutch automatic transmission system of the engine operated in three different modes is other noted point of the engine. With the maximum power of 127 kW/10,000 min-1 and maximum torque of 129 Nm/8,750 min-1, the pickup and performance of the vehicle is very good. This bike is different from any other normal motorcycles both in terms of its looks and performance. The bigger panels, bigger engine, stylish seat and huge mask of the vehicle serve as the head turner. The dual layer fairing is one of the new concepts in motorcycles which not only control the air flow towards engine but also checks the safety measures. Mask of the vehicle which is bigger in size adds to the style statement with other fellow components namely vast wind screen, attractive rear view mirrors and wider chasing. Comfort is very important while driving a vehicle and this is very well checked here. The rider seat is placed in a proper position so that there is no back pain even on longer drive. VFR 1200F has one of the best braking systems in motorcycle industry thereby guaranteeing superb ride and handling. The ABS facility provided in the bike makes the drive easy and under the control of rider as driving at higher speed never locks the wheels thereby helping to apply the brake quickly. The broader wheel base and single side swing are other important factors which add to the greater balance of the vehicle. Powerful vehicle Honda VFR 1200F provides the mileage of about 10 to 15 kmpl. 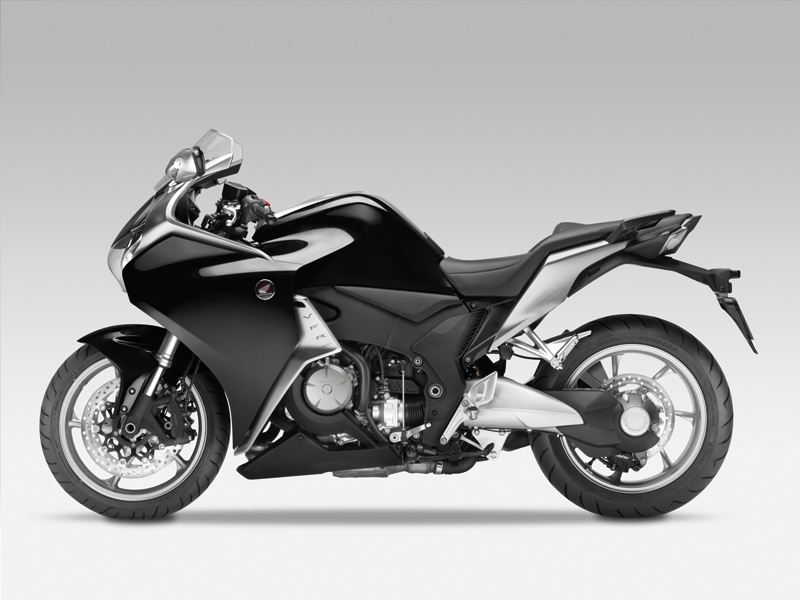 Honda VFR 1200F will come in the price range of Rs. 17,50,000 to Rs. 20,50,000. This heavy duty vehicle is available in various metallic colors such as red, blue, silver, green and black.